Memories elicit memories, in listeners and readers as well as in the one who tells the stories or writes them down. The more I recall and reflect on the past, the more “forgotten” people, scenes, and events emerge from the buried trash-and-treasure heap of memory. I was vaguely aware of this phenomenon before I began this blog, but comments on my posts, spoken and written, have driven home the point. Readers frequently respond to my memories with memories of their own, most often and most fervently when the subject is one on which everyone is an expert (food, for example!). On the less familiar topics of my latest post – mineral rights, and the horrors of fracking in Colorado – I was not expecting much in the way of personal response; the subject seemed somewhat remote. But the story was also, in part, a reflection on family history, so I sent it to my cousins, co-heirs to an unexpected and, for some of us, unwelcome windfall. To my delight, my cousin J.D. (“Jadie”) Curran responded with a rich and informative letter about his own experience and memories – first as another troubled beneficiary of our grandfather’s legacy, and then as one with a particular expertise in the history of mining out west. 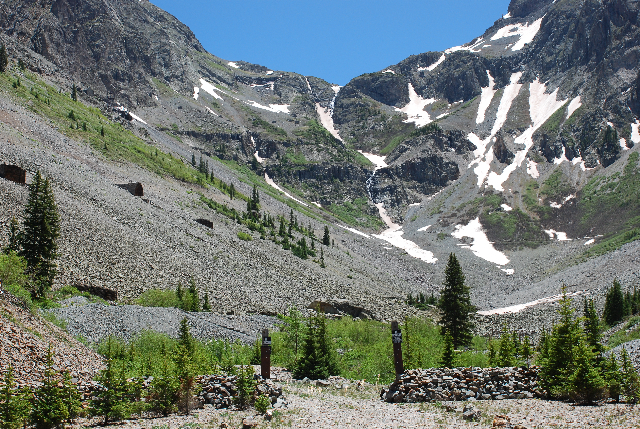 He wrote about a long-ago summer job in Silverton, Colorado, and sent along some fine photographs from that time and place. His story and pictures are too long and interesting to hide in a comment, so I reprint them here, hoping they may inspire some more comments and reflections on Colorado history, family history, or mining as it was and is. I, too, entered into our dubious family participation in fracking with a sense of guilt, made even more so by your recent lyrical recollection of your grandfather’s and father’s great romance with Colorado. I’m all too well reminded of this Rocky Mountain High that seems endemic in many of my close western relatives, especially my mother. But first things first. I did not, as you and your sister have done, assuage my guilt by donating my signing bonus to an environmental group fighting fracking. I took the cash and paid for an expensive set of hearing aids. My wife and I are both pleased that I no longer suffer in a world of silence, she the most after enduring years of repetitive conversations and annoying requests to repeat herself. Now I simply live with the rationalization that we neither diminished nor added to the fracking movement in Colorado. It is, as they say, what it is. A compromise, as is life. 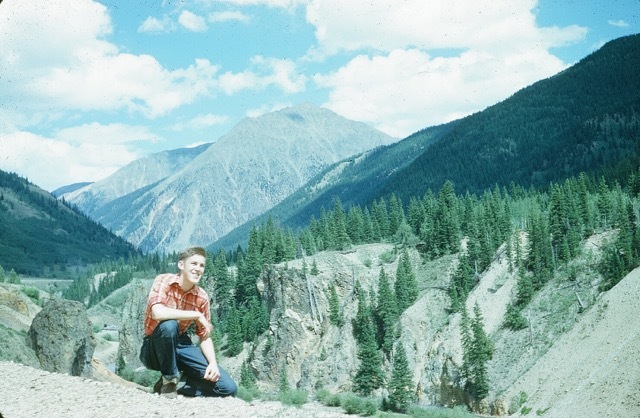 Mum’s recollection of her bucolic girlhood days in Denver, like your father’s, included trips into the mountains on horseback, trout fishing, cooking over an open fire. On my only trip to your summer home in Connecticut, your father insisted on taking me on a long walk through the nearby woods. I suppose as my godfather he felt it an obligation. And during a game of catch I repaid him by pitching a softball back to him so unerringly that it smashed his glasses. Some payback! mine shaft where I spent a break from college one summer working underground. 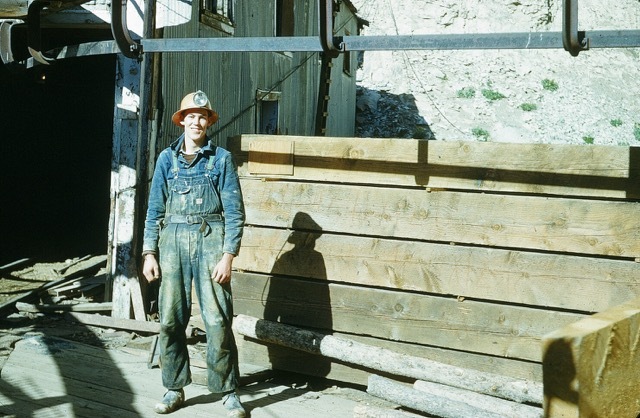 After recuperating from altitude fever I was able to first thread pipe used in the drilling operation, and I later ran the electric train that took the miners to the stope where they drilled and blasted each day and then out to the elevator that delivered us to fresh air. 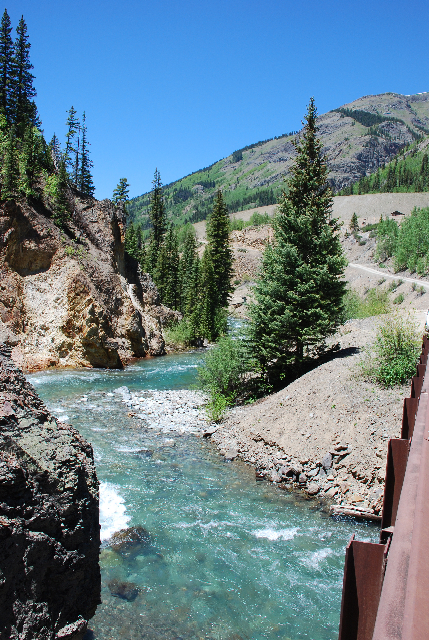 Fortunately the Shenandoah-Dives Mill has not figured in the 2015 disaster of another Silverton mine – the Gold King – that unleashed a torrent of poisonous toxic liquid into the Animas and San Juan rivers. According to New Mexico public radio KRKE, “More than half a year since the spill, the Environment Protection Agency (EPA) believes three-million gallons of waste water spilled from the Gold King Mine, carrying roughly 880,000 pounds worth of heavy metals including lead, cadmium and arsenic. The EPA says contractors they hired for clean-up work were excavating above an old mine drain, which was unknowingly filled with water. While the EPA contends that the Animas and San Juan Rivers have returned to “pre-spill conditions,” that assurance hasn’t eased water quality fears for many living in San Juan County. “Yeah, there’s a lot of what looks like, rust, like rusty brown material coating the rocks,” said David Yinguez, a Farmington-area resident who lives near Wild Horse Valley. “Everybody’s scared to do anything with it.” Yinguez says he won’t fish in the Animas River anymore. Like many, he’s scared of what the mine waste water plume left behind. Yinguez says metal is now easy to find along the riverbanks, where much of it settled after the spill. He often dredges for gold along the Animas, right in the heart of Aztec. We, or rather the miners in the now abandoned Shenandoah-Dives, were participating in the same kind of activity that under different circumstances could have led to a similar disastrous spill. Just the luck of the draw, I suspect, that Mr. Chase’s mine didn’t figure in it. By the by, on an entirely different topic, my family also dished up the now infamous PM casserole you mention in another post, and I still make it on occasion, only I adulterate it with New Mexico green chile. It was my mother and father’s dish du jour whenever asked to bring a dish to their frequent square dance evenings with fellow textile town friends. Despite all the energy and talk devoted to healthy eating of late I still insist, as my father used to say, “you have to eat a peck of dirt before you die.” And in New Mexico laced with green chile! On that note I better end this missive before I’m in big trouble with my far-flung cousin-hood. 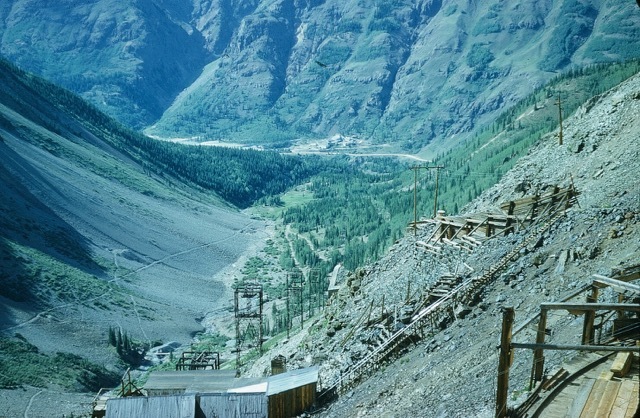 I note with special interest that Jadie wrote about the piles of “tailings” (mine waste) he encountered at work and recognized that the Silverton-Dives mine could easily have been responsible for a disaster similar to the 2015 toxic spill at the Gold King mine into the Animas River (also in Silverton). Silverton-Dives and Charles Chase, its owner, have been credited with early attempts to protect the environment through the use of “tailings ponds.” [Fascinating engineering and environmental details can be found in a 1997 “boundary increase application” to allow the mine to be included in the Silverton Historic District.] However, as we know too well 65 years after Jadie’s summer in Silverton, there’s no foolproof system for the disposal of mine waste. Charles Chase, the mine owner, was a friend of our grandparents, and in 1951 he offered Jadie a summer job. 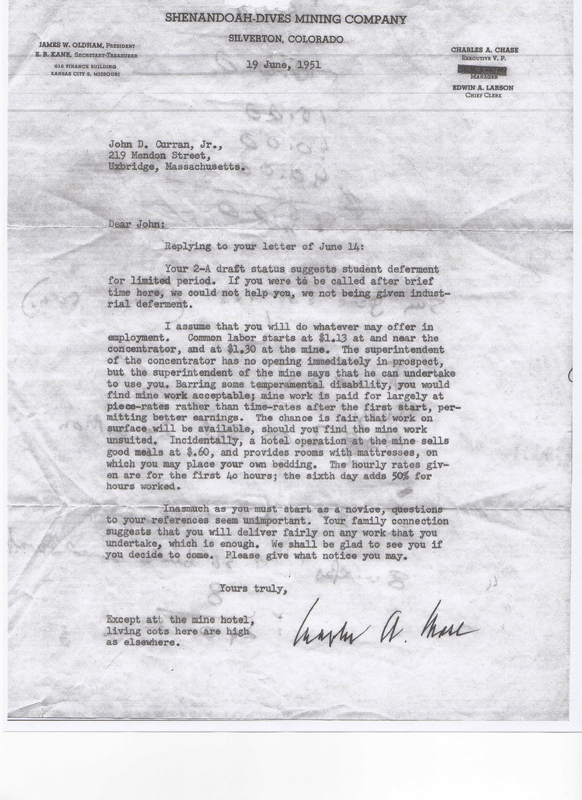 His letter includes details of interest to those who remember or study the 1950s. Along with particulars of pay scale and housing (single miners were required to live in the mine “hotel”), he commented on draft deferment, reminding us that young men were then subject to be drafted to fight in Korea. Love the way your family history and the larger issues have connected.